The GyroStim™ is a fully automated, computer-controlled multi-axis rotating chair. Its spacious design is comfortable and safe, and can accommodate many types of individuals ranging from small children to elite athletes to those with significant disabilities. In the article you will find that this prescription is not widely accepted by the community that deals with concussion management. However in my experience it is vital to let the brain rest. When I am debriefing with the athlete and their parents, the most often question I get is “can you sleep too much?”. My answer is no. To make the parents feel better I have them arouse the concussed individual at infrequent rates to observe their arousal response. I also have the parents ask the three words that we asked the person to remember right after the concussion episode. With our experience at our school, the kids and parents that abided by the recommendations of sleep and complete brain rest have recovered at a much quicker rate. The kids and parents that did not listen are still dealing with symptoms and have yet to be cleared. We all know, or should know, that balance issues are a primary concern with concussions and post-concussion syndrome. Along with memory problems, balance disturbance is high on the predictor list for duration of symptoms ergo severity. 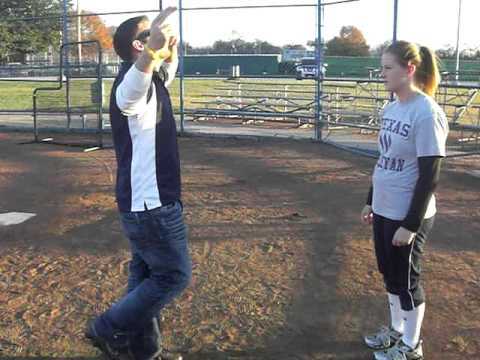 As an athletic trainer one of our primary tests, and “go-to” is the Rhomberg Test, or sobriety test as most may know it as. What is tested there is the gross balance and fine motor movements controlled by the brain and vestibular system of our ears. During a concussive episode the synapses (or messages being sent) between the neurons in the brain get disrupted, each individual will experience different durations. Using the knowledge that balance is commonly and most immediately affected by a concussion the Rhomberg provides great feedback. During the Rhomberg the athlete is challenged with single leg balance, tandem walking, spatial awareness and other concentration efforts that would otherwise be very simple. These menial tasks become very difficult when you are concussed. Now imagine those small but difficult tasks and dizziness plaguing you on a daily basis days, weeks or even months after you have sustained a concussion.